The Willie Nelson bacon print by KII ARENS celebrates America's favorite food. 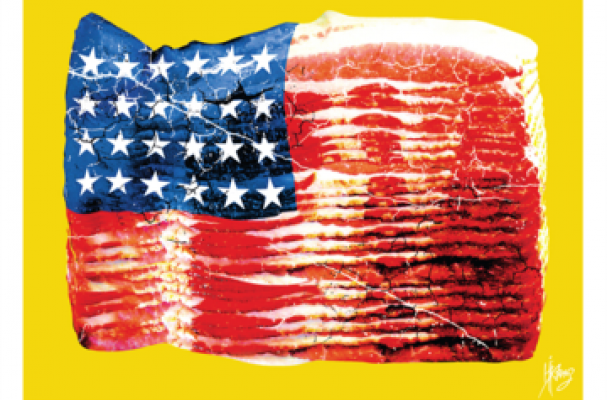 A package of smoky bacon is designed to simulate the American flag. KII ARENS has created other music inspired food posters including Jello molded into a Devo hat and more. This poster is available online for $50.00.